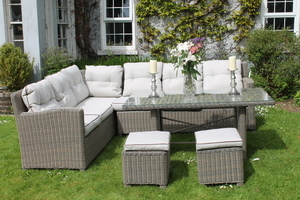 A premium set from our Rattan range in a natural weave on an aluminium frame with luxurious cushions. 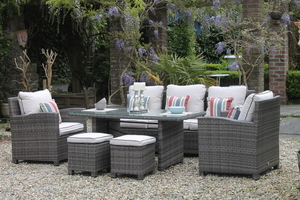 The Monte Carlo lounge set is an ideal outdoor dining set. 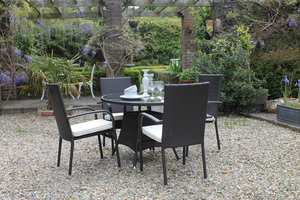 It has a high table for dining and very comfortable seating for lounging in. 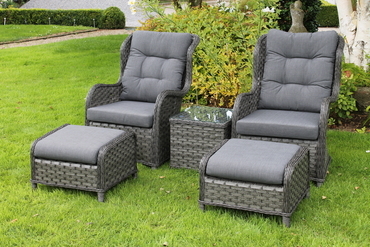 A patio set that will nestle in perfectly in any outdoor setting or corner. 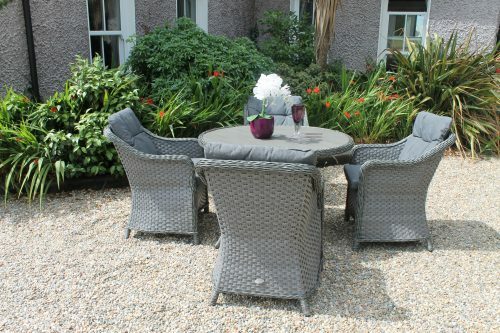 This outdoor patio set is ideal for any garden or outdoor setting.